The villanelle is a lovely, rhythmic form that takes quite a bit of skill to work with. Still, it might be a fun challenge for poetically-inclined individual students or groups of students who can put their heads together. A villanelle consists of nineteen lines broken up into five tercets (three-line stanza) and a final quatrain (four-line stanza). Villanelles also rhyme according to a specific pattern: the first and third lines of each tercet rhyme, and in the quatrain the first, third, and fourth lines rhyme. The trait that makes villanelles so delightful to read and so difficult to write is the pattern of repeated lines. 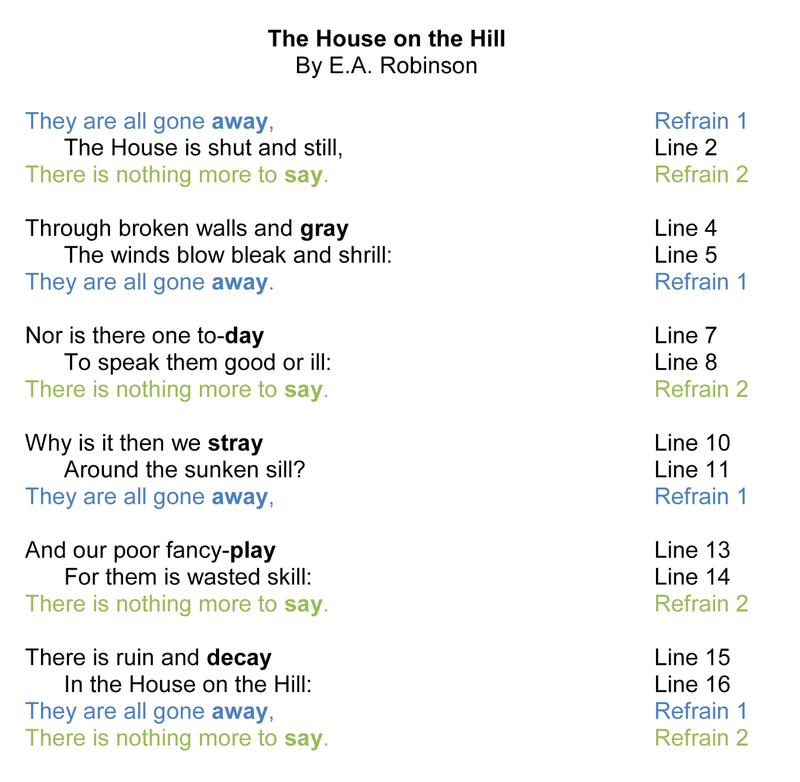 A villanelle has refrain lines, meaning that certain lines repeat in specific places. Intriguing, isn't it? Some of the English language’s most beloved poems are villanelles, like Sylvia Plath’s Mad Girl’s Love Song, Elizabeth Bishop’s One Art, and Dylan Thomas’s masterpiece Do Not Go Gentle Into That Good Night. What better way to celebrate poetry month than taking a crack at this challenging, beautiful form yourself! *This poem was included in a collection published in 1896 but was first written in an earlier form in an 1894 letter. Among Robinson's other works was Richard Corey (1897), which became the basis for a song by Simon and Garfunkel in 1966.